Are you in the market for a new Volkswagen Tiguan or Volkswagen Atlas? Consider leasing your next Volkswagen vehicle from Smith Volkswagen in Wilmington, Delaware. We recommend considering a Volkswagen lease if you're the sort of driver that doesn't put a lot of miles on your vehicle. It's also nice to know that when you lease a vehicle from Smith Volkswagen, the responsibility for maintenance and repairs is in our court. It's that extra peace of mind you simply don't get with a traditional automobile loan. Another benefit of leasing a Volkswagen is that when it comes time to upgrade your car to a newer model, you don't have to worry about selling your current vehicle. Just give us a call! 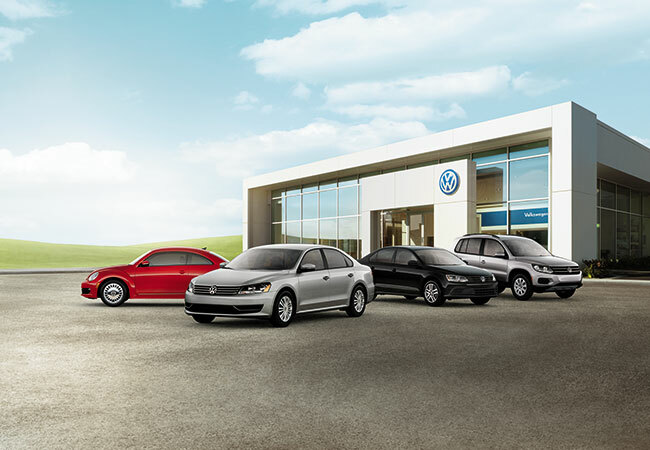 At Smith Volkswagen, you'll find an excellent selection of new Volkswagen vehicles available to lease on our Wilmington, DE Volkswagen dealership. Come in to test drive a new Volkswagen Passat or Volkswagen Jetta and experience for yourself how fun life can be behind the wheel. When you lease from Smith Volkswagen, you'll often find you have lower monthly payments, which means you can take a look at some of our higher-end options when it comes to trim packages and accessory upgrades. Come by to take your favorite Volkswagen vehicle for a spin. Smith Volkswagen has a number of Volkswagen financing options available for drivers in Wilmington, DE. Talk to our finance team about qualifying for one of our competitive automobile loans, or for help with estimating the value of your trade-in vehicle. We can answer any questions you may have, so give us a call to schedule an appointment today.